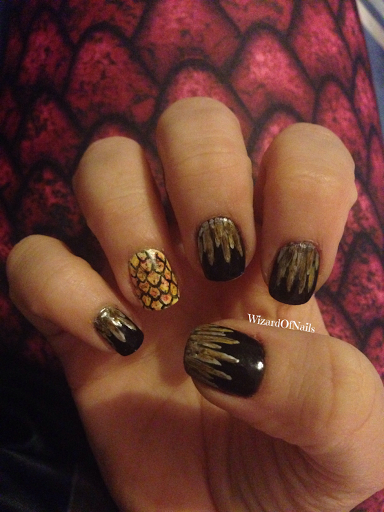 These are some very quick Game of Thrones nails I painted to match my outfit for a https://blackmilkclothing.com pic a day challenge last year. 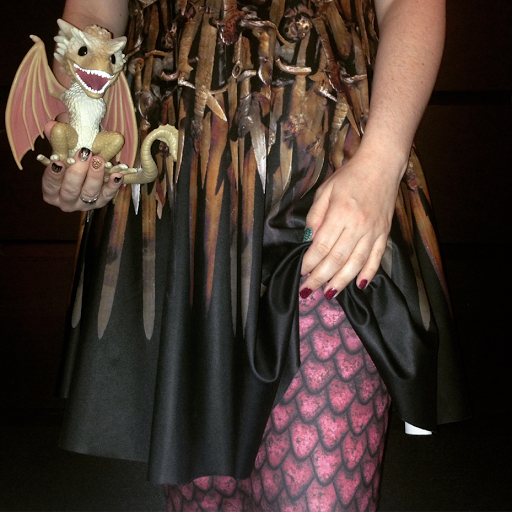 They match my Drogon Dragon Egg leggings and my Thrones dress. 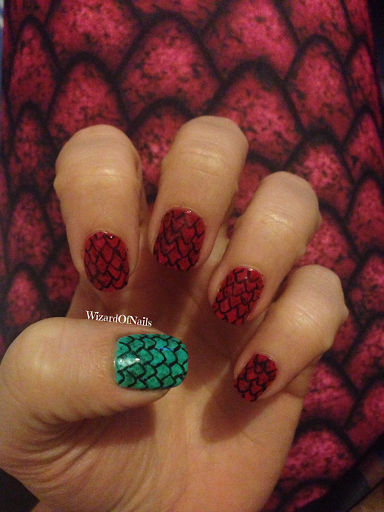 The turquoise and cream nails are Rhaegal and Viserion dragon eggs.